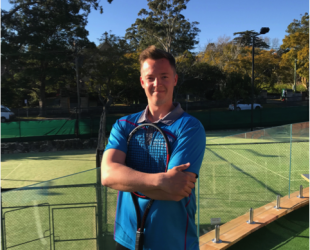 Inspire Tennis in partnership with Killara Lawn Tennis Club has recently appointed Greg Quesnel as its new Head Tennis Professional. Greg will be overseeing the development and promotion of all aspects of tennis activities at the club. Having been involved in tennis from a young age and having been coaching for over 7 years, his aim is to raise the profile of the club, bring the club together more, increase membership and build the coaching programme. Greg is an LTA level 4 LTA Performance Coach and a Registered Coach for Tennis Australia.